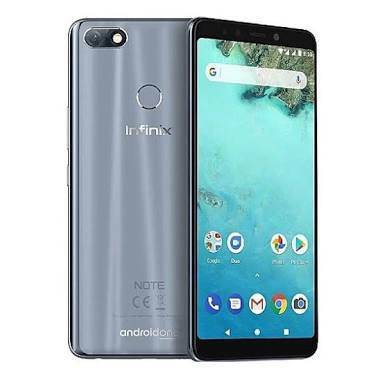 Infinix Note 5 VS Infinix Hot S3: 2018 Infinix smartphones. Infinix Mobility has been pretty much busy in the first half of 2018. The OEM company started the year with the release of the Infinix Hot S3 (their first smartphone to feature an 18:9 aspect ratio display, Snapdragon chipset, and Android 8.1 Oreo). They went on to release the Infinix Hot 6 and Hot 6 Pro, which features dual rear camera. And now, we have the new Infinix Note 5, which is the successor to last year’s Infinix Note 4. The price range of the new Infinix Note 5 makes it a direct competitor to the Infinix Hot S3 and Infinix Hot 6 Pro. In this article, I will be comparing the Infinix Hot S3 with the Infinix Note 5. For those of you who are yet to decide on which smartphone to buy between the two, this article is definitely for you. Both the Infinix Note 5 and Infinix Hot S3 features a front glass with polycarbonate plastic unibody. The difference is that the plastic back of the Infinix Hot S3 is plain. While that of the Infinix Note 5 is glossy and reflects light beautifully. The Infinix Note 5 and Hot S3 measures the same 8.4 mm in thickness. While the Note 5 weighs 173 grams and the Hot S3 weighs 150 grams. Moving over to the back, you’ll find a rear mounted fingerprint sensor, single rear camera and LED flash on both smartphones. The rear camera with LED flash of the Note 5 is aligned in a horizontal direction. While on the Infinix Hot S3, its aligned in a vertical direction. In terms of body colors, you’ll get to choose from Black, Blue and Grey for the Infinix Note 5. And Black, Blue and Gold for the Infinix Hot S3. Infinix Mobility really upgraded a lot in the display specs of the Note 5 compare to their other smartphones. The Infinix Note 5 packs a 6.0 inch IPS LCD panel with 1080 x 2160 pixels resolution and 402 PPI density. Whereas the Infinix Hot S3 packs a 5.7 inch IPS LCD panel with 720 x 1440 pixels resolution and 285 pixels per inch density. Both the Infinix Note 5 and Infinix Hot S3 features an 18:9 aspect ratio. At the back, the Infinix Hot S3 features a 13MP rear camera with dual-LED flash. Whereas the Infinix Note 5 features a 12MP rear camera with dual-LED flash. Moving over to the front, the Infinix Hot S3 comes with a 20MP front-facing camera with dual selfie flash while the Infinix Note 5 sports a 16MP front-facing camera. Am surprised to see the Infinix Hot S3 featuring a better camera specs than the Note 5. Though the camera of the Note 5 is AI-driven. 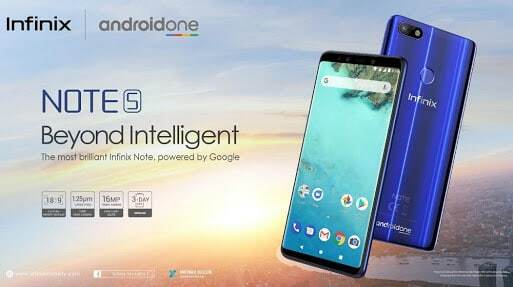 Underneath the Infinix Note 5 is MediaTek Helio P23 chipset with 3GB memory, Mali-G71 MP2 graphics processing unit and an Octa-core processor, which clocks at 2.0GHz. While the Infinix Hot S3 is being powered by Qualcomm Snapdragon 430 chipset with 3GB memory, an Adreno 506 graphics processing unit and Octa-core processor clocked at 1.4GHz. The Infinix Hot S3 and the Infinix Note 5 comes with a 32GB internal storage. Running on the Infinix Note 5 is a pure stock Android 8.1 Oreo with no user interface customization. Whereas the Infinix Hot S3 runs on XOS V3.0 Hummingbird user interface on top of Android 8.0 Oreo. Both smartphones come with really strong battery capacity and fast battery charging support. On the Infinix Note 5 is a non-removable Li-Po 4500 mAh battery. While on the Infinix Hot S3 is a non-removable Li-lon 4000 mAh battery. The Infinix Hot S3 is currently sold for about $174 (N61,000) while the Infinix Note 5 will be sold for about $183 (N64,000). The Infinix Note 5 comes with a bigger battery capacity, better display quality, hardware and software for just an added $9 (N3,150). The best quality-price ratio smartphone is definitely the Infinix Note 5.